Social networking is the way many of us connect, both personally and professionally. 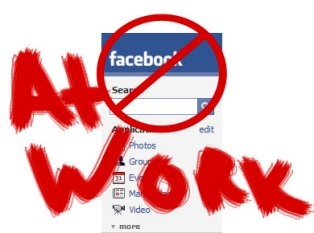 When you go to work, however, is Facebook, Twitter and LinkedIn turned off? Many employees are finding themselves shut-off from social networking at the office. Many years ago, concerned that employees would goof-off during business hours, my company’s CEO ordered the IT department to un-install preloaded games from all computers. The monumental message this act sent to employees was crystal clear: “We do not trust our employees.” Still today there are leaders who do not trust their people. And now with the explosion of social networking, the paranoia has again revealed itself in the form of stringent communication policies. Paranoid leaders, and their highly paid attorneys, are likely concerned about all the worst-case scenarios of allowing employee access to social networking sites on a company computer. An employee might say something negative about their employer, or reveal deep dark secrets on Facebook, Twitter or LinkedIn, according to this outdated mindset. But isn’t this all a matter of TRUST? Employees can be a company’s greatest ambassadors telling the world about your greatness. Restrictive policies, on the other hand, only serve to create a great divide in the relationship between the company and employee. I suspect companies that have much to hide in the way of an unhealthy company cultures, toxic executive behavior, and the like, are afraid of the openness provided by social networking. Freedom is a great tool for innovation. Our forefathers formed this great country with tremendous sacrifice while seeking freedom, and we are the lucky beneficiaries of some of the greatest technological advancements due to this freedom. Give freedom a chance. It works. The potential innovation allowed by increased communication is exciting. What are your thoughts about social networking at work? What has been your company’s stance on social networking?